This is a book about writers and working with them. Editing is what I wanted to write about. But it is also about friends, some of them now dead, so it is about that, too. What follows is not strictly chronological. It bounces around a little. So did I. Images, memorabilia, and reflections from selected career stops at Rolling Stone, Esquire, Sports Illustrated, and elsewhere. The latests news, interviews, and excerpts from the book, as well as new writing from McDonell. Plus a deeper look at his work and correspondence. 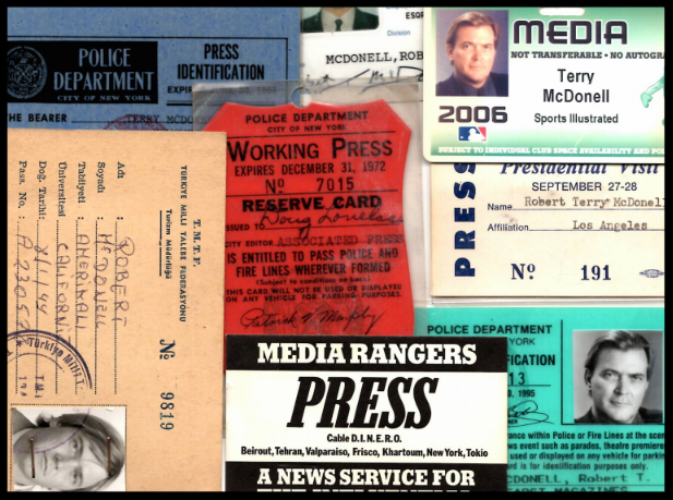 Television, radio, and podcast appearances, including McDonell's induction into the Magazine Editors' Hall of Fame. Sign up with your email address to receive news and updates about readings and promotions. Banner photograph by David Strick.